Not this gift guide. We recognize every woman can be a million different things on any given day, and we would never want to detract from this amalgamated magic and ask you to pick one label--for yourself or the broads you love--and choose your gifts accordingly. We want you to gift the ladies in your life with comfort, gratitude, and love this year, giving them things to improve their days and make them smile. Ahead is a list of thoughtfully curated gift ideas designed to delight all the ladies on your list and to help you gift with intention this holiday season. And even better, each of the items listed below is brought to you by a company with Colorado roots so you can feel good about supporting the local economy when you do your shopping. The ladies you love are so much more than a character type. So here is a gift guide for all the badass broads in your life--every beautiful, complex, complicated one of them. 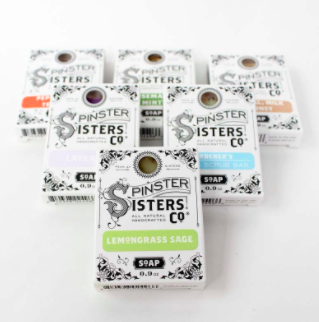 Spinster Sisters Co. - This microsoapery based in Golden has grown substantially in the last few years, expanding from natural soaps sold at craft fairs to an expansive body and skin care line with retail locations in Cherry Creek and on Pearl Street in Boulder. The OG natural soaps smell divine and are our personal favorites. 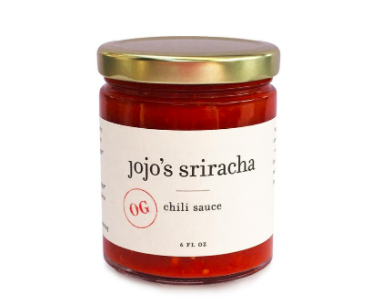 Jojo’s Sriracha - Have you ever looked at the list of ingredients on a sriracha bottle? Jojo did, and she didn’t like what she found. She set out to create an alternative made from things she felt good about putting into her body. The result? A delicious, handcrafted hot sauce made from high quality ingredients with no preservatives and little sugar. 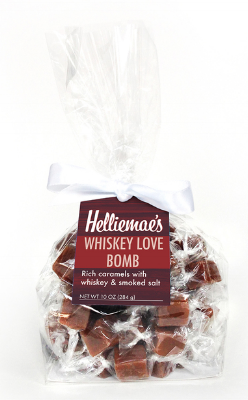 Helliemae’s - Helliemae’s small batch caramels come in a variety of flavors, including special seasonal options for the holidays. The candies--the perfect, delicious candies--are made in an old service station in Wheat Ridge and are cut and wrapped on production equipment made in France in the 1950s. And yes, the bag you see pictured here does read "Whiskey Love Bomb." 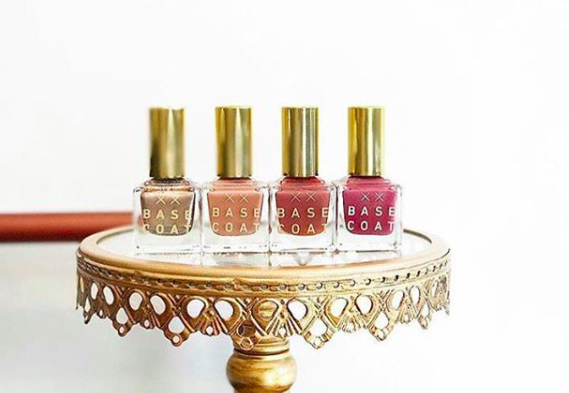 Base Coat Nail Salon - Base coat nail salon is a non-toxic nail salon located in LoHi. The salon’s vibe is chill, homey and hip. A variety of lovely natural and non-toxic beauty products are available for sale in the shop or you can grab a gift card and encourage a girlfriend to treat herself. Whole Apothecary - Whole Apothecary uses 100% natural ingredients to craft handmade, small batch selfcare products. Each product is crafted with a consideration of the power of plant properties and how those properties, including essential oils designed for specific needs and a facial steam that is truly magical. 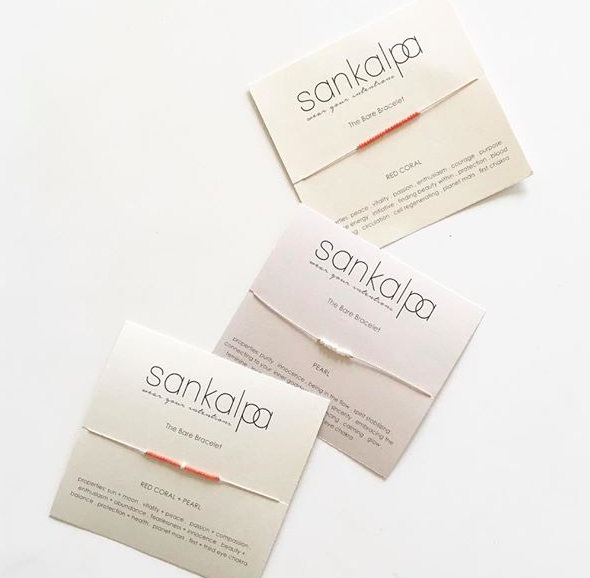 Sankalpa - Sankalpa means our “heart’s deepest desires” in Sanskrit. Victoriam, a Boulder local, created the jewelry line in an effort to offer people ways to set intentions and honor their hearts. The beautifully simplistic bracelets and necklaces feature gemstones, each with their own properties that can be selected specifically for the wearer. A thoughtful gift to guide a loved one into the new year. Kimothy Joy - Kimothy Joy, the creator of our Broadview Denver logo, has labeled herself “an illustrator ready for the matriarchal takeover.” Her art features inspirational quotes, uplifting reminders of female power and calls for togetherness and love. Some of her pieces are available as prints, cards and tote bags, and for many items, part of the proceeds are donated Emily’s List. Rose and Royce - Madeline of Rose and Royce is a trained artist who has chosen a uniquely western medium for her pieces: cow skulls. She decorates the skulls with paint, gems and flowers, fully aware of the juxtaposition of the beauty. 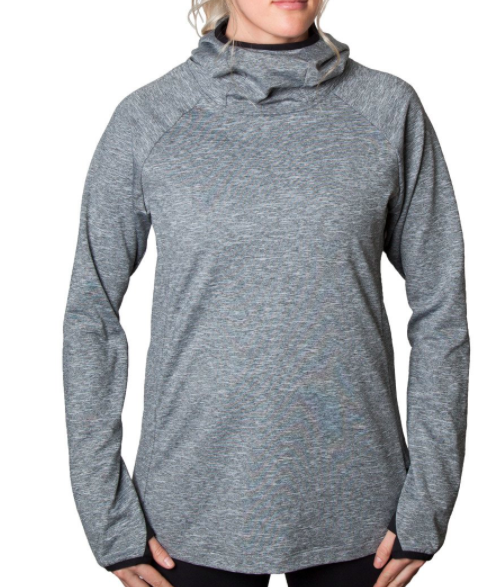 These things are crazy gorgeous and just happen to top our own Broad in Chief’s Christmas list this year. Seed and Stone - Seed and Stone's handmade concrete home goods are made by a couple in Fort Collins. The fresh and earthy modern bowls and planters would make any space a little more hip, especially the small planters that are just screaming for succulents.